This book is designed to help the reader acquire the knowledge and skills to learn how to make new habits to replace old habits. The reader will learn about "super habits", and why old habits never really die. 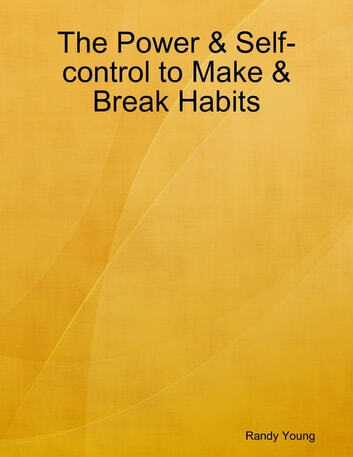 More importantly, the reader will learn the key to building new habits and maintaining these new habits. 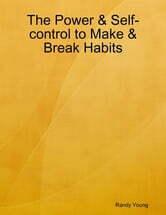 This book discusses how to maintain awareness using a very special habit to avoid the pitfall of relapse. The reader will also become acquainted with the value of rewards or reinforcers in the acquisition and maintenance of new habits. Examples help the reader understand key concepts. This book also helps readers understand how various addictions can be viewed and understood as habits. Simple steps help the reader understand how to exercise the power and self-control to make and break habits. Parenting Without Power Struggles: The Ultimate Parenting Guide for Raising Children In The 21st Century By Applying Positive Discipline Tips! Child Development from Infancy to Adolescence: The Simple Positive Discipline Tips for Child Rearing and Parenting in the 21st Century! Bipolar Friend on Mental Health Matters ~ Healing Tips for Healthy Minds > Tried & True! Fail Proof Anger Management Techniques: Stop, Control And Manage Anger Right Now!